“`Archie, Jughead, Betty and Veronica are making a road trip from fictional Riverdale. They are headed to Bollywood. 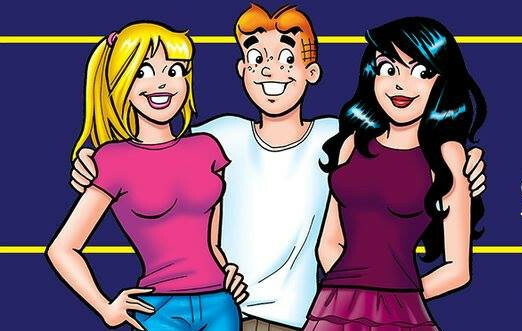 Archie Comics and Graphic India say they’re teaming up to create a Bollywood-style live-action production, which re-imagines American suburban perpetual teen icons as Indian characters. “`Graphic India spokesperson Sharad Devarajan says that Archie Comics have long been embraced by Indians. Immersing them fully into the Bollywood experience is a different new twist of this long-standing franchise. “`The freckle-faced Archie first appeared in comic form in 1941, and he went on to become an representative of wholesome teen angst. The characters are currently part of The CW’s series Riverdale. “`The companies are touting the upcoming film as the first international comic book character to be translated for Indian screens. No release date was announced. This entry was posted on Wednesday, March 7th, 2018 at 9:20 pm	and is filed under Blog by Manny Pacheco. You can follow any comments to this post through the RSS 2.0 feed. You can leave a response, or trackback from your own site.